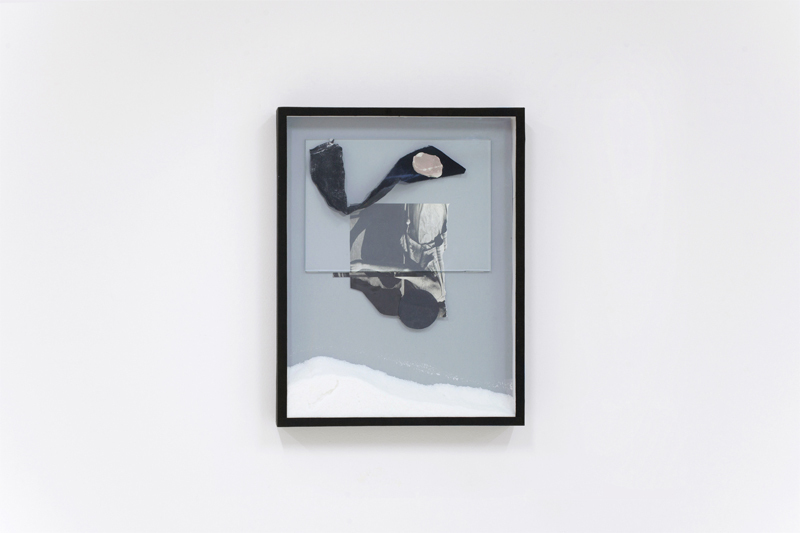 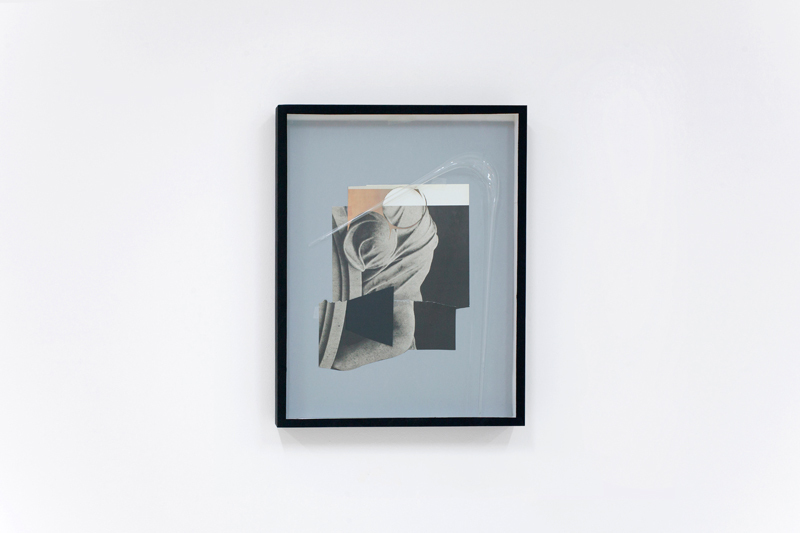 The collages are used to counterpoise the inorganic matter and the body, adding the one and only colour in the whole series: a light pink, resemblance of the skin. 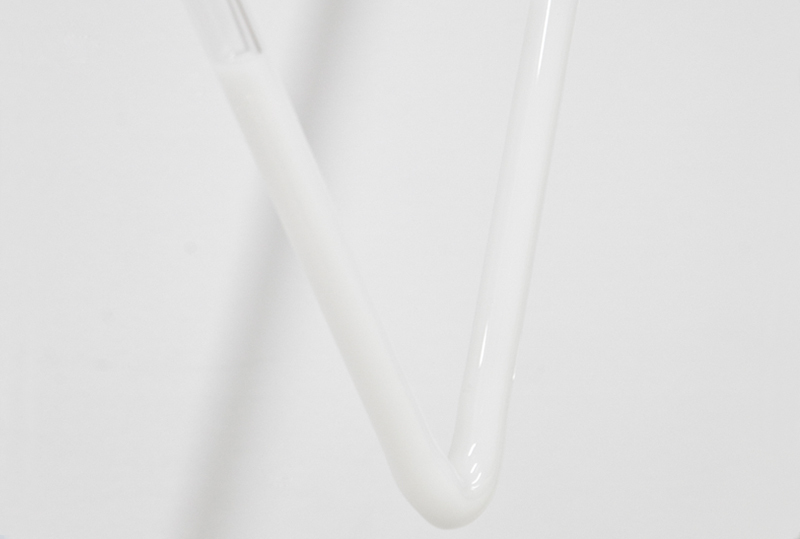 The figure of a human presence is represented by this colour in contrast to the other blown glass pieces, that are volatile and transparent. 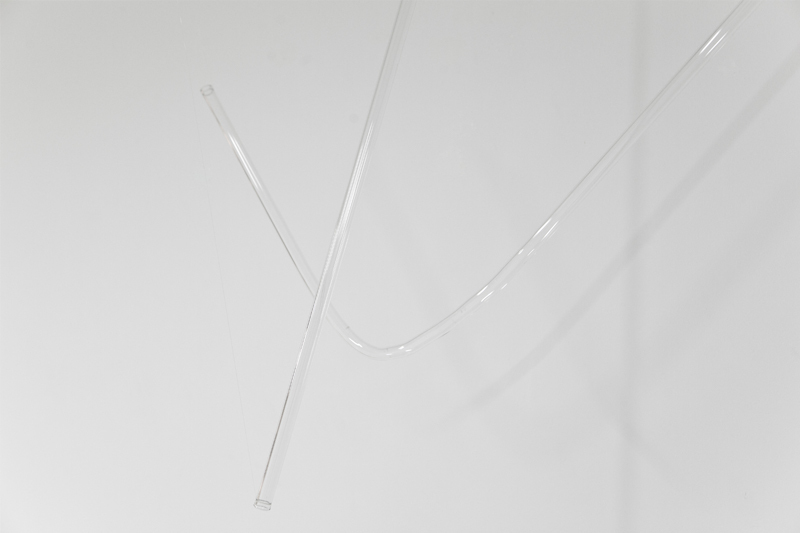 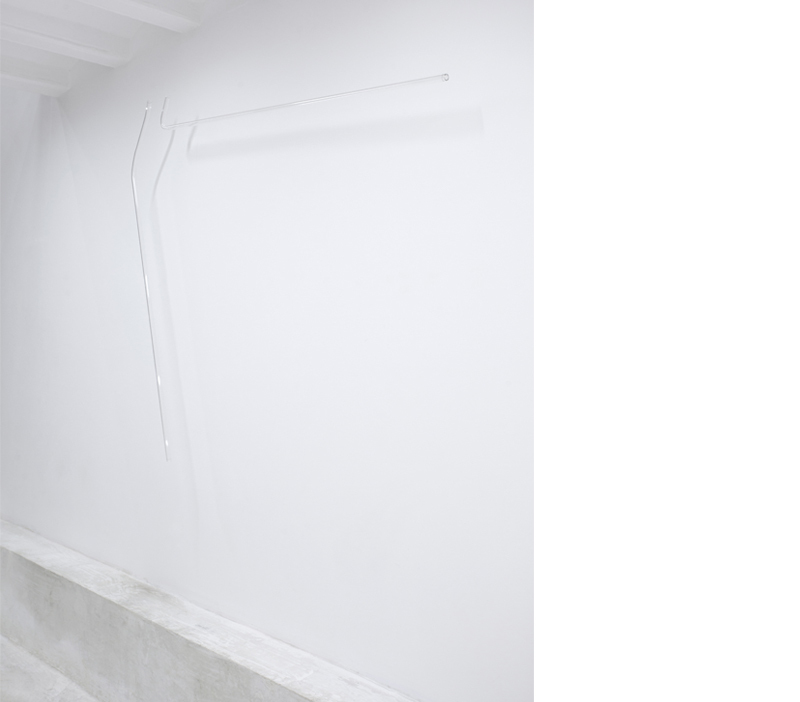 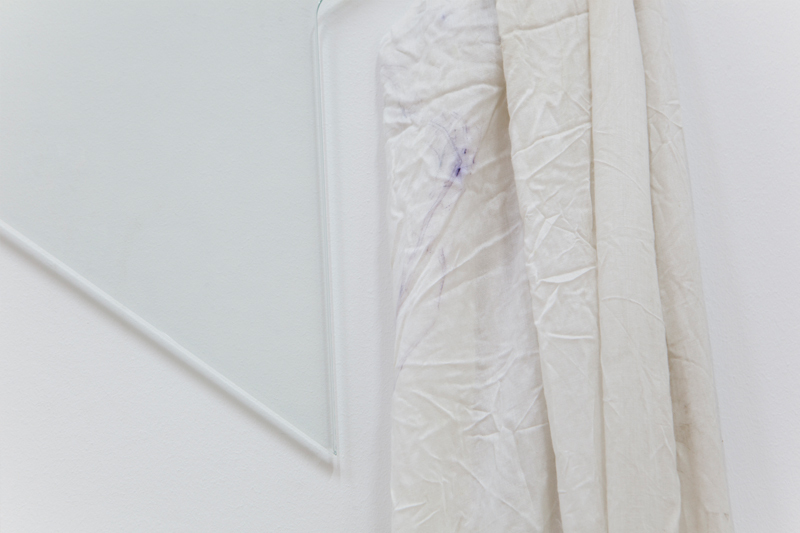 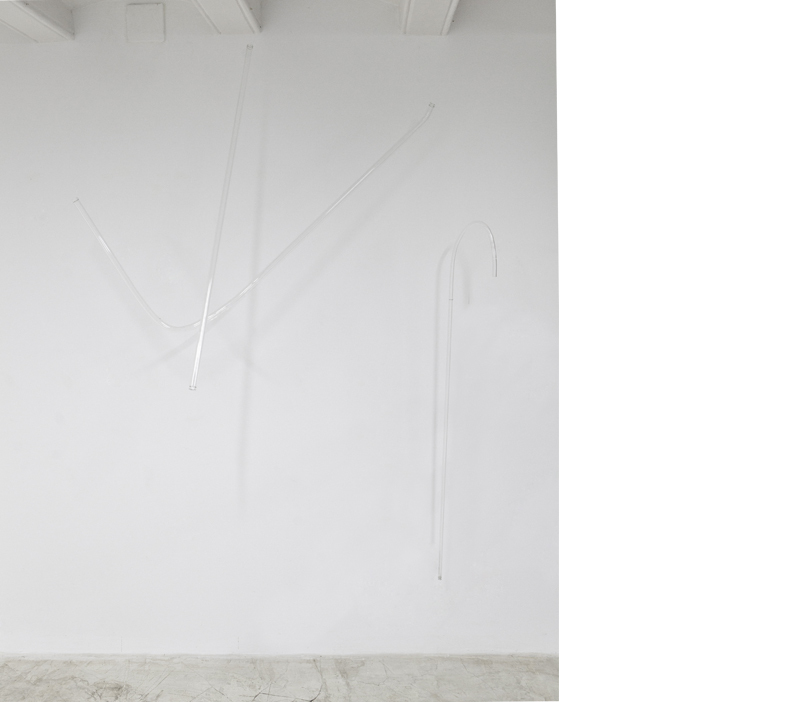 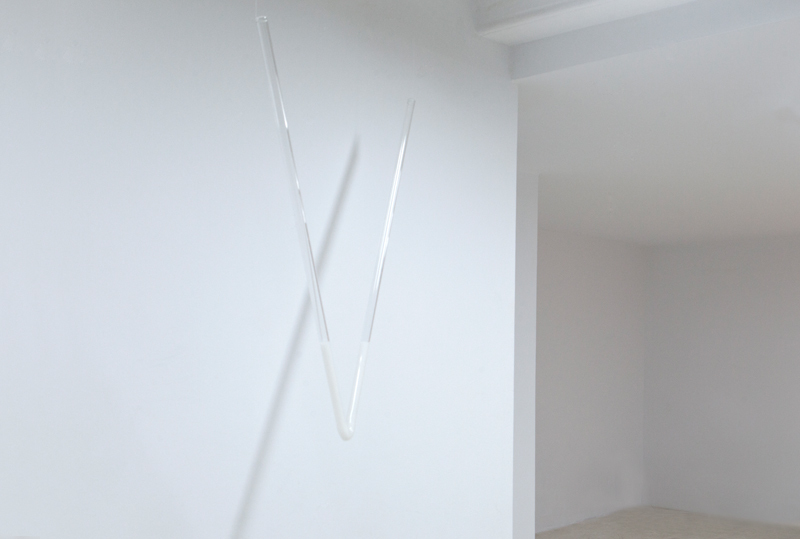 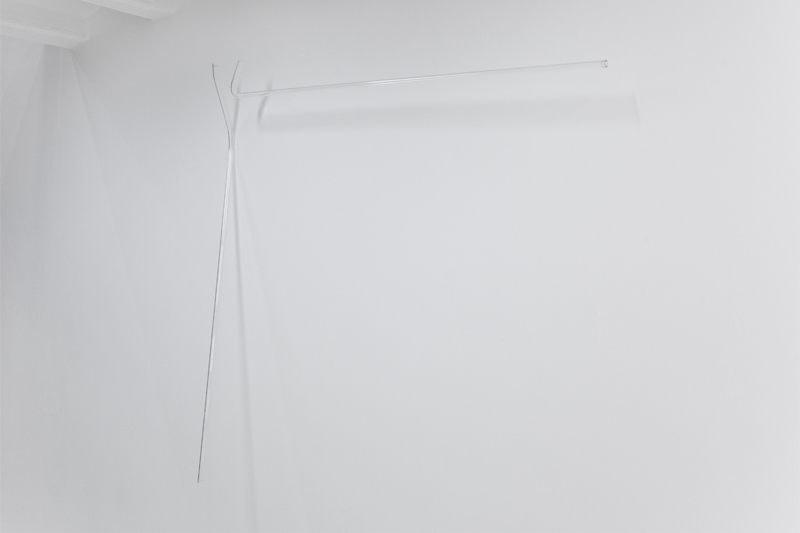 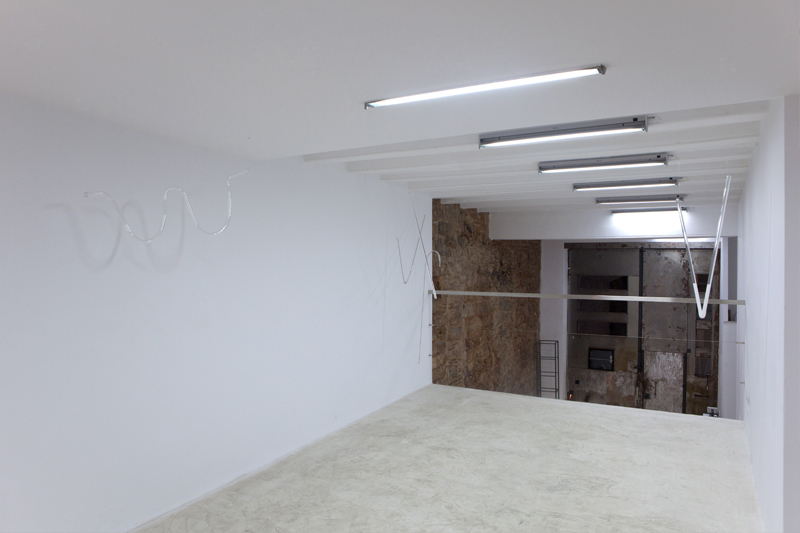 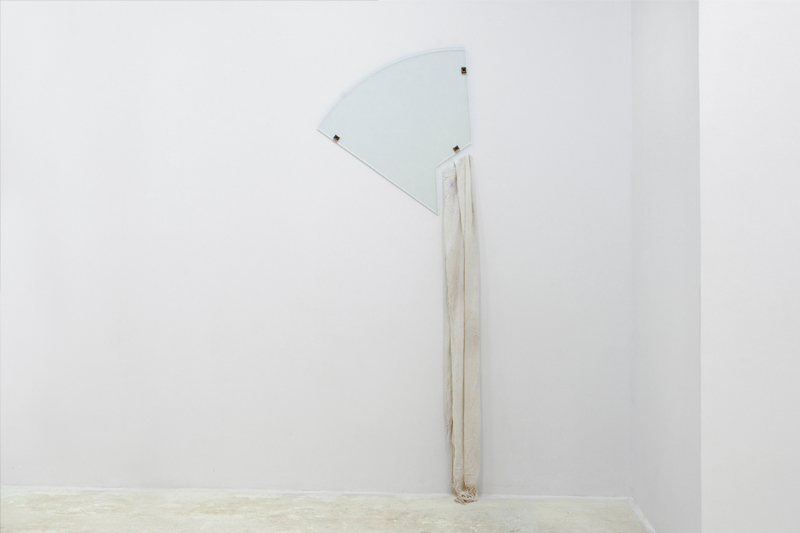 The Untitled blown glass installations can sometimes become invisible on the white space, the glass tubes hang on the space in between the encounter and the chance.